I don't just grow tropical plants. Earlier this year I sowed loads of tomato seeds, and that effort is now, er, bearing fruit. Out of the five of us in Famille L, only two actually like tomatoes. One of them is me, and the other is my daughter who is currently not here. If you leave a tomato on the vine for too long, especially when it is wet, it may swell and split. That would be a criminal waste, so that'll be me eating several kilos of tomatoes over the next week. To be honest I am fine with that - eating a tomato straight off the plant is one of life's great pleasures. Even brushing your hand through a tomato plant is special, the scent given off is so very evocative. So this is me for the next few weeks, I might actually turn into a tomato. By happy coincidence my annual health assessment is just around the corner. I don't know if a week of exclusive tomato eating will be sufficient to right the cholesterol wrongs of the last seven months, but I am assuming that it can't hurt. This was lunch on Sunday - tell me you're not salivating just looking at it! As an athlete, I wouldn't touch any of this stuff myself. 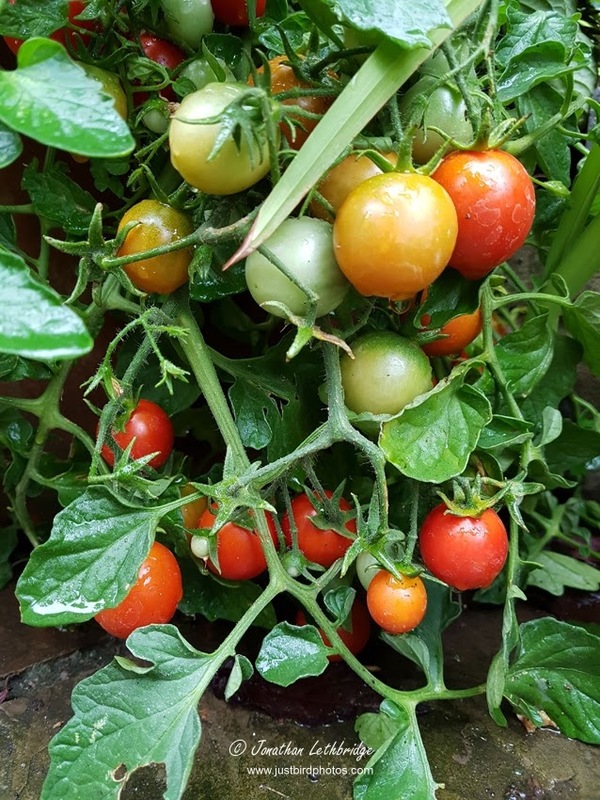 The tomatoes are basically un-digestible and the other vegetation only serves as a pile of stomach filling roughage with next to no calories worth the mention. It's not healthy at all. The calories and taste are provided by the 100% fat cottage cheese and oil covering which only makes you fatter and can give you the squitters all at once. Not healthy at all??! You can't win! 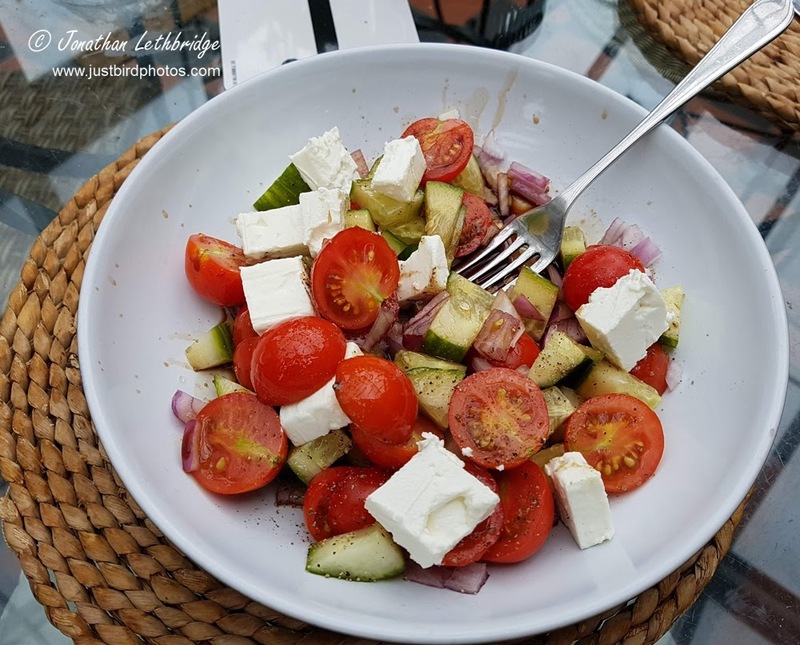 PS it is feta cheese, and that was about 50g, which per the packet had about 130 calories and 11g of fat, which on top of what I already have saved away is nothing!